A West Midlands hospital A&E is being investigated after concerns were raised over the deaths of 54 patients in a six-month period. The Care Quality Commission (CQC) examined Russells Hall Hospital’s death records from the first six months of 2018 as part of an inspection in June. An independent inquiry has been ordered into the Dudley hospital. Dudley Group NHS Trust, which runs the hospital, said it had the region’s lowest mortality rate. Former NHS England deputy chief executive Mike Bewick is conducting the review, the BBC has been told. The A&E department has been issued with four enforcement notices since January, meaning the trust has to report regularly to the CQC. Inspectors visited the hospital in June and gave it an overall rating of “requires improvement”. Diane Wake, chief executive of the Dudley Group trust, said an initial draft report suggested many of the patients had been dead on arrival and there was no national data to determine how many deaths there should be in an emergency department. In its latest inspection report, published on Thursday, the health watchdog rated urgent and emergency care “inadequate”. Responding to the report, Ms Wake said the trust had recently appointed a new clinical lead for urgent and emergency care. She added that the trust had “approached a neighbouring trust” whose A&E was rated “good”, so that “best practice” could be shared between consultants. During the June inspection four staff told the CQC they would not want relatives to be treated there over fears they “may deteriorate or die”. Inspectors saw three patients in reception who “appeared very unwell” and members of the public raised concerns for the safety of two of them. One of the three was bleeding profusely until inspectors intervened and asked for them to be treated due to concerns for their immediate safety. The watchdog also found care records were not always accurate and complete. Natalie Billingham, 33, from Tipton, died in March, 72 hours after going to the hospital with flu-like symptoms and pain in her foot. It is not clear if Mrs Billingham’s death is one of the 54 which have caused concern. 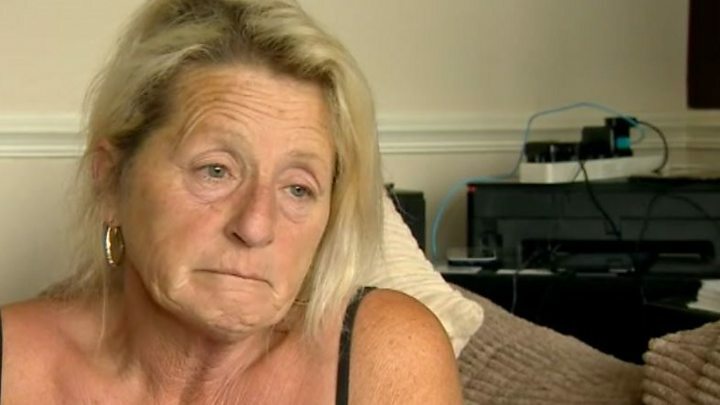 Her mother Marina Tranter told the BBC the hospital had “destroyed me, they’ve destroyed my family”. ← British Airways breach: How did hackers get in?